Specialized complexes for games and recreation of domestic animals have received wide recognition among the owners of cats and cats of various breeds and ages. 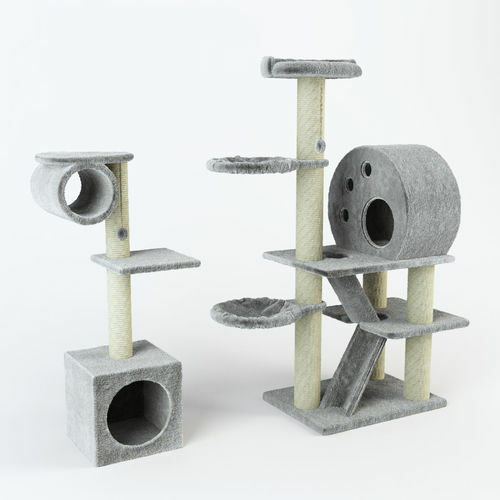 A special interest in these accessories is due to the high functionality - the lap-lodges combine cozy places for rest and sleep in pairs with places for games and sewing claws. The process of sewing claws for a cat is an integral element of life. As surfaces for attacks the cat often chooses the corners of furniture, walls and other elements of the interior, which afflicts their owners. Sledge-houses contain specially equipped sections for sewing claws.